Researchers have studied the damaging neurological effects of caley pea consumption in horses. Their research centered on 22 of 25 horses that fell ill from a diet of Bermuda grass hay heavily contaminated with the legume. The affected horses ranged in age from 6 to 34 months. Caley pea, or Lathyrus hirsutus is also known as hairy vetchling and Austrian winterpea. It is native to Europe, North Africa, and much of Asia, but is now widespread across the southern United States. Professor Todd Holbrook, from Oklahoma State University’s Center for Veterinary Health Sciences, and his colleagues said caley pea was known to be potentially toxic to horses, but large case series had not been reported. Five of the affected horses were sent to the university’s Center for Veterinary Health Sciences for evaluation and treatment, after having been treated at the ranch by a local veterinarian. An additional horse that had been euthanized was also delivered for a necropsy. A detailed examination of the horses was carried out, including a physical examination, complete blood count, serum biochemistry, upper airway endoscopy, muscle biopsy, and serum vitamin E analysis. The researchers, writing in the Journal of Veterinary Internal Medicine, described the clinical signs of horses intoxicated with caley pea. They found that the acute clinical signs conformed to earlier descriptions of caley pea intoxication in cattle, with neurological signs that included a gait with a shortened stride and the hind limbs held further forward than normal. They found residual neurologic signs, too. These were characterized by incoordination in the rhythm of multiple gaits. “Caley pea intoxication may occur within days of seed pod consumption,” they reported. Drought conditions during plant growth may increase the risk of toxicosis, they warned. 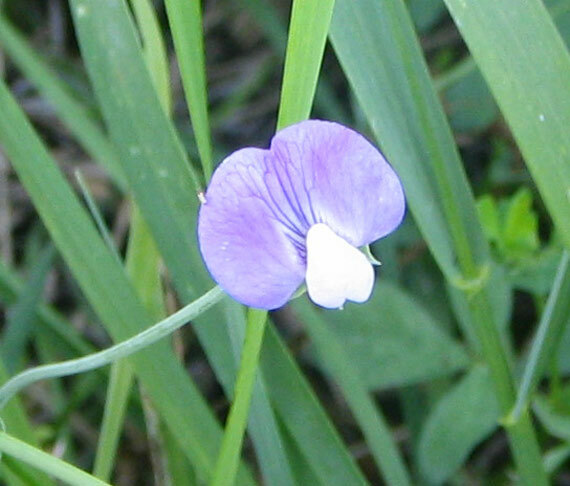 Lathyrus hirsutus (Caley Pea) intoxication in a herd of horses. Holbrook TC1, Gilliam LL, Stein FP, Morgan SE, Avery AL, Confer AW, Panciera RJ. J Vet Intern Med. 2015 Jan;29(1):294-8. doi: 10.1111/jvim.12515. Epub 2015 Jan 16.